The body of Michael Keogh was discovered near Sheridan Court, Dorset Street on 31 May 2017. THREE PEOPLE ARRESTED yesterday in connection with the murder of Michael Keogh in May 2017 have been released without charge. 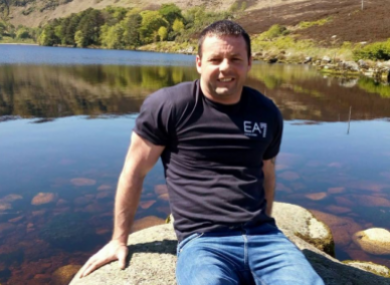 The body of Michael Keogh was discovered by a council worker as he made his way to work near Sheridan Court, Dorset Street at about 9.55am on 31 May 2017. Keogh was discovered with a number of gunshot wounds to his head as he sat in a Volkswagen Golf in a car park. Two men in their 40s and a woman in her 30s were arrested in Dublin yesterday. One man and one woman were detained under Section 50 of the Criminal Justice 2007. The second man was detained under Section 4 of the Criminal Justice Act 1984. They were detained at Dublin city centre garda stations. Both men and the woman have since been released without charge. Email “Three people arrested over murder of Michael Keogh in 2017 released without charge”. Feedback on “Three people arrested over murder of Michael Keogh in 2017 released without charge”.